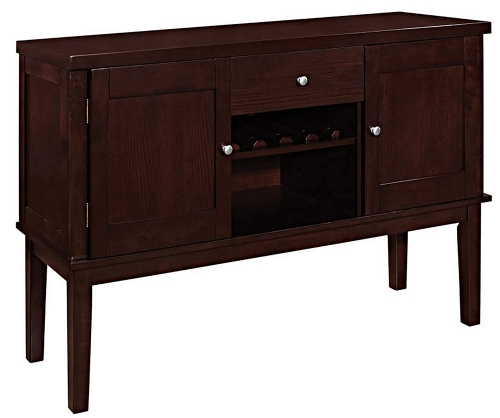 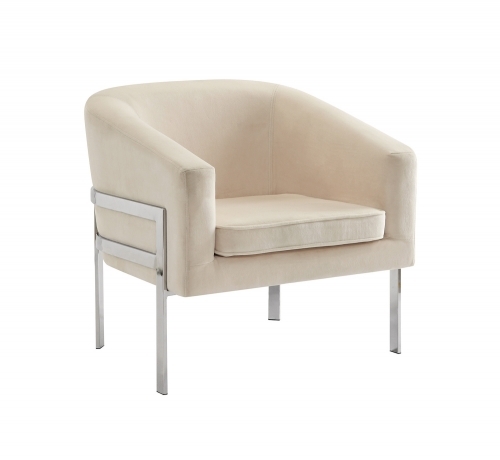 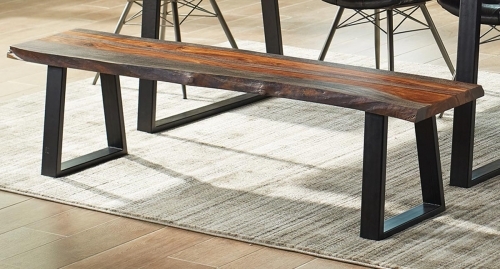 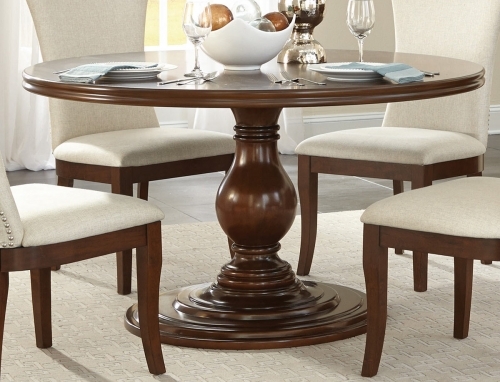 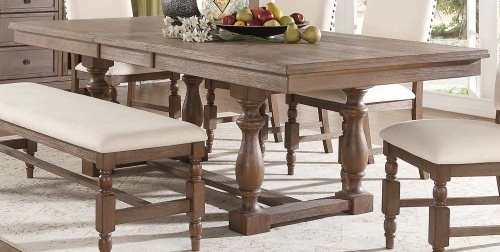 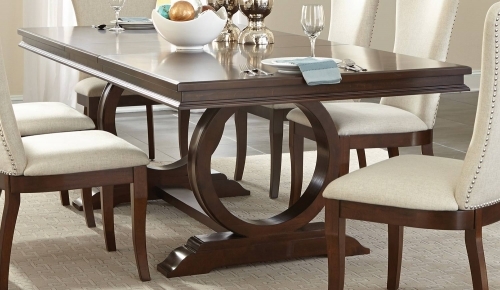 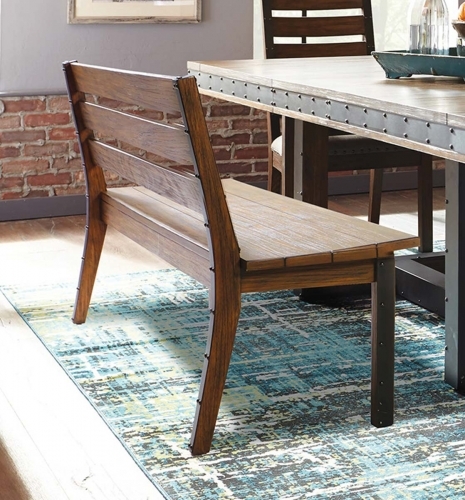 Add contemporary style to your home decor with the Trussell contemporary collection. 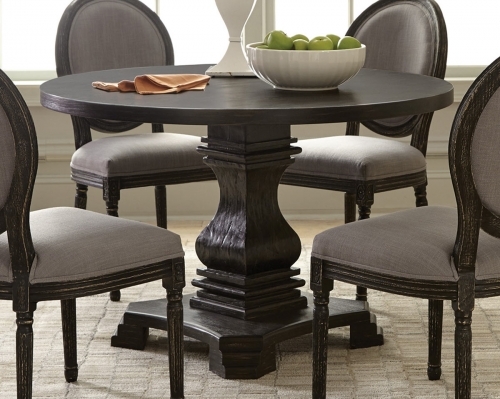 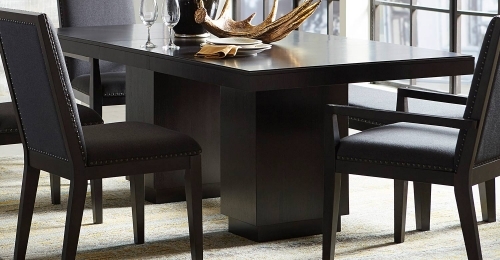 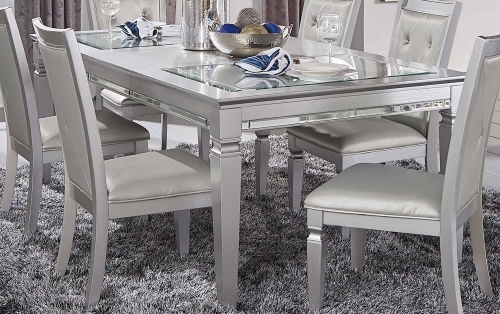 The table features a metal base with glass top and black/white large checker frosted finish. 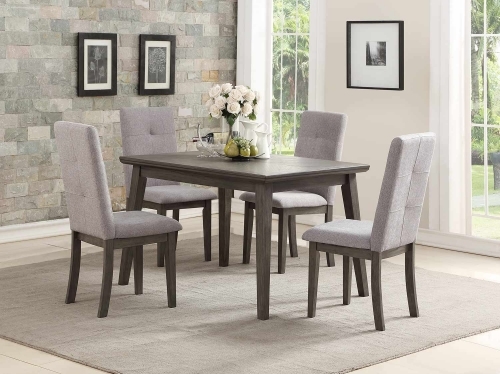 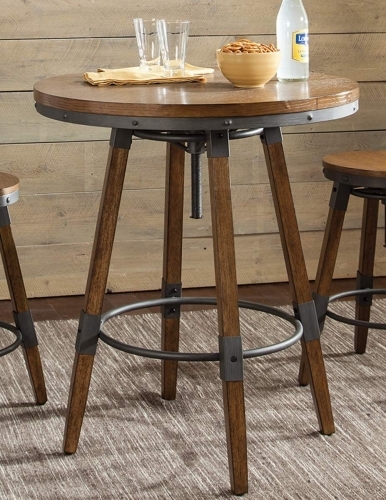 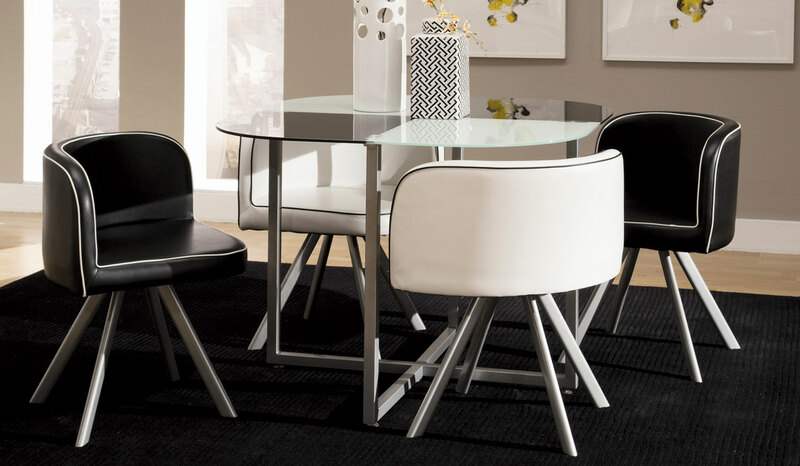 The matching chairs feature rounded vinyl backs with four beaming metal legs mixed to complete the stylish look of this table set.